Here's the link to the bedding set we got. Jofus & I both fell in love with the Bramble & Smudge characters, they are soooo cute! 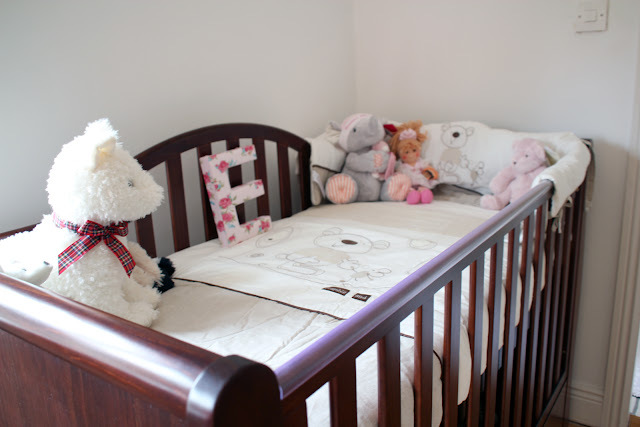 The only part I don't like right now is the bumper because it doesn't work well on this crib setting. Once we lower the setting when she's a little bit older it will wrap around the crib better. It's okay for now but as you can see it doesn't fit with the sleigh bed structure of the crib so we might remove it if it's not really needed.